Tour proven 402-dimple pattern delivers lower launch and trajectory for maximum distance through optimized flight and greater roll. Golfers can be a little over particular about the golf ball they play with.We see the experts from around the world compete and display high levels of skill when they win a tournament,or even make the top twenty.The prov1x is a brilliant ball that feels soft on the face of a sweetly struck iron,soft enough on the putter face what ever putter we choose to use.If you play good golf play this ball.If you play a bad round do not let it bug you and still play this ball. This is a nice golf ball. Too bad they discontinued them. I don't understand why Maxfli discontinues balls so fast, other than for marketing reasons. The A-10 was a good ball, and so is the M3 LT. I like the low trajectory because it helps me with iron shots in particular. I tend to hit a high ball to begin with, so the low trajectory gives me a little more control on my irons. It also helps me when I play in the wind. It's nice to be able to pull out my driver or my 1-iron and hit low rockets that bore through the wind. The ball has pretty good distance off the tee, very comparable to other premium balls and also to softer covered distance balls, such as the noodle. This ball is also playable around the green. It spins pretty well and checks up nicely. It's also very nice to putt. I nailed 4 putts from 20+ feet my last round using the M3 LT. I would recommend this ball to players with low to mid handicaps and a high swing speed. If you are a 10 handicap or under who drives the ball 275+, give this ball a try. I think you'll like it. First,let me preface this review by telling you I have a Taylormade 540 12 degree driver with a stock regular shaft. I bought this driver based on my swing speed and the theory the more loft the less side spin which will cause a slice. I know I may be sacrifice a little distance but I was looking for more accuracy. So I started looking for a ball that would give me distance but also work for me around the greens. I tried different brands of NIKE, Spaulding,Titleist, Dunlop, Wilson etc.. Some of them would fit the distance ok but not give me the green action. Some would just balloon off the tee, other were just eradict off the tee. I tried this M3 LT and it has just what I have been looking for. I get tremendous distance, and great action around the green. My slices are a minimum and the durability of the ball is beyond belief. With this ball being discontinued I am currently buying what I can of it. At $19.99 it is the best value going!!! My expectations for this ball were: 1. Low trajectory. 2. High Spin. 3. Distance competitive with Titleist or Spalding (strata) products. I was unimpressed by #1, satisfied in #2 - but highly disappointed in #3. The ball does spin adequately, but distance is well short of top competitive balls. Trajectory was perhaps half a club lower than other top balls. Feel was muted by my tastes. I won't play this ball again. I have an extremely high trajectory, but get normal distance compared to my buddies. So i decided to try this LOW TRAJECTORY in hopes to get more distance instead of my balloon shots. Anyway, it didn't work. I lost like 20 yards on all my short irons. Despite the negativity, the ball does exactly what it's supposed to, bore through the air like a ball 3 times it's weight. Overall an Very nice ball, just not yet worth the dough for my level of play. I've played nothing but ProV1's since they came out. Great ball. But I'd been ticked recently that I was going through three balls a round due to cuts etc. So I bought this ball. Great Ball. It is longer of the tee. The ball is not as soft and does not stop as quickly on the green as the ProV. However, it spins at a much higher rate for me, so I have no trouble stopping it on greens. The spin also makes it very easy to shape shots, I only try at work the ball with 8iron and up and it works beautifully. Around the greens this ball is not nearly as soft as the ProV, but I find it is still relatively easy to control. If I'm missing a green I do pray for it to roll into the trap because it will occasionally run too far out of the rough. Overall, this is a fantastic ball that suits my game. It gives me more distance, is workable and does relatively well around the green. Tried 4 different Balls today. Bought a sleeve of each. The Maxfli was the best of all with the Pro V1 coming in second. The other Balls were good but just not as good. 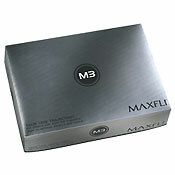 The Maxfli M3 Tour LT is soft and flys nice and straight. It has outstanding feel around the green and good stopping power. Great ball! I played it on a windy day at a links-style course. this ball had a great feel, and stayed on line the entire day. i played one ball for 15 holes until hitting it into water. it helped me win 1st place in the tournament. it's better than the A10, Pro V1. although it's in the mid-price range, it's worth it for tournament play. need i say more? maxfli promptly answers questions by e-mail. Pull Over Titleist ProV's, sit down Precept LE's! This ball has more disctance, feel and spin than any other ball I have pleayed. Nice to see you can play an entire round w/out a knick or wedge mark on the ball. Best ball out there!